Let's fly!!!! This beginner's workshop teaches the fundamentals to AcroYoga- the fusion of acrobatics, massage and yoga. It is for ALL levels, ALL body types, ALL athletics experience. 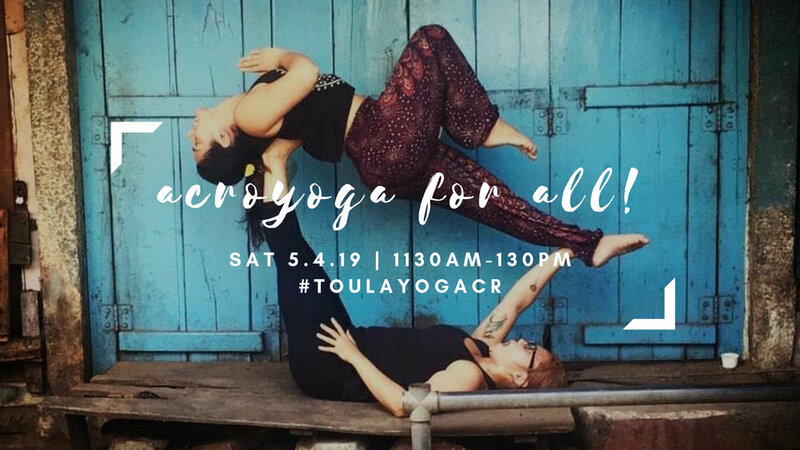 No yoga, acroyoga experience or partner needed. Come play!!! !